Choosing the right institution for professional education entails a lot of research. How do students prepare to make this choice? They begin the search for higher education institution during their junior years. Starting early gives students enough time do plenty of research, meet testing and application deadlines, tour campuses and prepare themselves for the chosen institution. Professor with doctorates to student ratio, admissions standards, and programs offered, and recommendations of the peers are some factors that help students to choose an institution. More than that, today alumni are ambassadors of their institutions: where are they working? What positions are they holding? And how are they doing? The academic outlook at any institution of higher studies has an important complement in the broad educational framework that students find outside the classroom (exploration of diversity, artistic interests and talents; athletic skill, other activities on- and off-campus and so forth). Today, informed students believe that a broad and varied on-campus experience affords the best opportunity to introduce them to the work principles and life values. The context at the Lahore School purposely encompasses every aspect of students' experience during their years at the University: the classroom, the computer clusters, the residence blocks, the library, the sports complex, the range of activities on- and off-campus, the resources and the spaces are all understood as a rich and complex educational whole. Union Bank announced job test result on Wednesday 29 September, 2004. Following fifteen of our graduates have cleared the test. Common Room has been added in the girls’ hostel in the Main Campus of the Lahore School for residents. New flatiron television, satellite receiver and every thing else has been added in FH III. In the City Campus one is already there next to the computer labs. 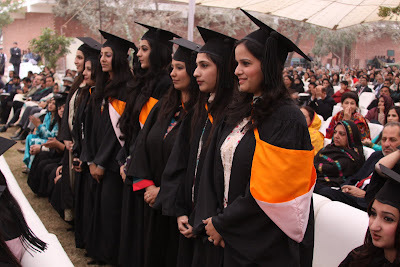 Each one of the students comes to higher educational institutions for a different reason. In the MBA environment, it is too easy to get caught up in the herd effect. Where are the seniors going? What are the growth industries? Which multinationals are expanding? These are some of the powerful forces, and the message that no one comes to the Lahore School for the same reason is a very important one. During their MBA years, apart from study, they need to develop a vision like where they want to be five to seven years after graduation. This does not mean industry and function alone, but also geographical location, setting of life. They can then begin to work the job question backward. Those who are able to develop a vision for five to seven years out can decide about job, experience, and what knowledge do they need to be hired. The Lahore School has a serious mission of training young executives, and the coursework here is rich and robust that inculcate in students analytical ability. The Schools teaches the finest business-management skills that prepare graduates to jump in and contribute on the job. Besides, there are a lot of things that students can do when they are at the Lahore School: They can identify people who come here as guest speakers or when students go out to visit different industries. Who they see as strong corporate leaders or simply whose job seems exciting. It is a great opportunity to network with those people and spend time with them. But first, have the career vision! Wu-tang Clan won (2-1) in Saturday football match against MBA 1. Today, BBA Hons will play against MBA 1. The British government has invited application for the British Chevening Scholarship program for the academic year 2004-2005 in different subjects including Economics, Business Administration, Public Administration and Management. The scholarships, which are funded by the British Government’s Foreign and Commonwealth Departments are part of international scheme and are for one year postgraduate studies in the United Kingdom. Applications (Forms can be downloaded from the Site) must reach in British Council of Pakistan office by October 18, 2004. Mazia Hussain, Jasim Afzal and Ahmad Nizami, Class 2004, have cleared ICI's test and group discussion. Interviews soon. Female students and the staff of the Lahore School are celebrating a colours week starting from today (September 27 – October 2). Themes for the week: Monday Blue, Tuesday Black, Wednesday Green, Thursday Red, Friday Yellow and Saturday are Orange. When it comes to accumulation of knowledge on the World Wide Web and presenting it to users in a friendly manner, SciTech Daily and Art & Letter Daily are the two Websites that cover almost every thing that is being writing on wide variety of subjects. Both the sites are very useful for students who want to broaden their intellectual horizon. For news, analysis, and opinion on science and technology issues, SciTech Daily is a very useful source. Updated 6 days a week, it maintains about 60 items on its home page before scrolling them off the bottom. The page is arranged in three columns: "Features and Background", "Books and Media", and "Analysis and Opinion". In addition, they have a link to an archive of each column. The format for their items is a short teaser -- typically one sentence -- and a single link, pointing directly to the source. Site search feature is also there. This site will not waste your time. In addition to the meat of their content, they have handy link columns pointing to: "Breaking News", "Sci/Tech Publications", "Useful Media", and "Interesting Sites". They keep these lists small -- typically 20 or 30 links -- and the quality high. Another, Arts & Letters Daily is also a fascinating clearinghouse of links to some of the best articles on the Web, with a strong slant toward the humanities. This too is updated six times a week in three main categories—Articles of Note, New Books, and Essays and Opinion -- the site is a lively collection of great reads across an impressive array of subjects and points of view. The content makes both SciTech Daily and Arts & Letters Daily unique in the history of knowledge that only the Web could have spawned – economical, fast, smart and full of surprises. Thought these are only a compilation and achieving but after first few online visits, one realizes that putting them together involves imagination, energy, critical judgment and intense curiosity. Visit both the sites and find subject of interets there . 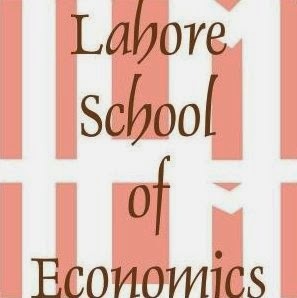 It has been always a pleasure to think about good old days at Lahore School of Economics. I graduated in April 1999, and since then am progressing with the career while incorporating my experiences with all what we learnt at the Lahore School. I would like to congratulate you on the successful uplift of the Lahore School. These days I am working with Malaysian Oil and Gas giant PETRONAS in Kuala Lumpur and am heading their Marketing and Commercial Department for the West Coast of Malaysia. I am positive that the School will keep on producing successful business graduates, whom the School will be proud of. 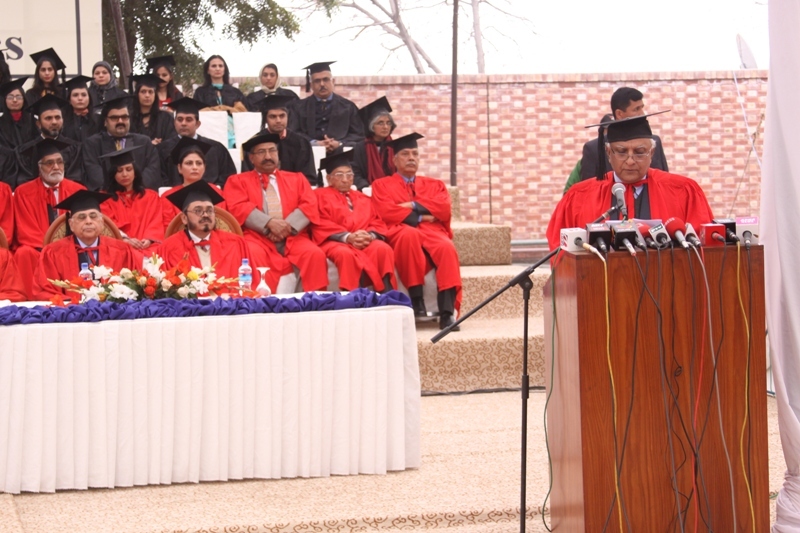 I would also like to mention the names of professors who did great job in best possible professional and friendly environment: My deep regards for professor Viqar, Ayesha Raza, Shazi, Aamir Chughtai, Shehla Arfeen, Seema Omer, and Mrs Qaisar. I shall definitely visit you to pay my regards when I come in Pakistan. In an ongoing Football tournament, MBA 2 has defeated MBA 1 (9-1) and BBA Hons (6-2), whereas Philips has defeated MBA 2 (9-3) and MBA 1 has won a match from MBA 2 (6-3). MBA 1 will play two more matches on Saturday (Sep 25), in the morning against Wu-tang Clan and in the evening against BBA Hons. Come back for the results. Last Saturday (September 25) Movie and Music Club arranged a Hollywood thriller, Final Destination II, at the Main Campus. Earlier, notices were placed to inform students and to invite them to the show on a big screen. Arrangements including high-powered sound system and multi media were made in Aud – 6. The attendance was good. Even students of Bsc Honours, who did not have any classes on Saturdays, had come for the Show. Film started at 11.30 a.m. and before that students had settled with their cold drinks, chips or sandwiches. It was 1 hour and 45 minutes long suspense and mystery, which captured and held the interest of the audience till the very end. The story was also brilliant. Thanks to good effort by the Movie and Music Club, especially Maleha Humayun and Muhammad Ehsan (Class MBA II). There is an internship opportunity at Abacus Consulting for Marketing (Females). The duration of Internship is 3-4 months that can also lead to job depending on the performance of the Internees. Any one interested! A look into the Lahore School’s Gym where aesthetic is youth. In the Main Campus students gravitate toward all manner of nooks, niches, and crevices (and there are so many in the vast expanse of the Campus) in search of the non-reflective quarters most conducive to their needs. That's why many members of the Lahore School community (this one included), go to find physical ‘solace’ in the gym. If you want enormous strength, tightly defined muscles, a massive chest, powerful arms and legs, or simply need to shed some extra fat, going to the gym is a must. Gym’s mirror panels reflect all this and other nook, niche, and crevice of the bodies; they also multiply the array of body-shaping fitness units, machinery which looks like an army of robots. The mirrors are easy to do the self analysis. The effect of the mirrors is overwhelming. This is not to say that every student there looks fit, for that would be an overstatement. But the gym's aesthetic is youth. They all are young, vibrant and embody the determined optimism that accompanies their presence there. Close examination of the gym population reveals another class of gym-goers: girls. Lahore School’s competitive spirit does not rest in the gym alone. But the prevailing spirit resonates loudly among the many gym visitors, particularly those who go there regularly. What is it about the gym, and its aesthetic of youth, that makes people (like me) feel so very old? Despite the age, I am reminded of my own days when one physical training instructor told and I suggest here, if I may, “Always believe in yourself. If you start doubting your abilities, your workouts are not going to be effective and your efforts are not going to be fruitful. And, attitude is everything. Once your attitude changes, everything changes. When you know you can do it, you can and will do it. So, go workout in the Gym! Track them . . .
Malik Sheryar has switched his job from NIB (bank) to Total Parco, Hassan Ahmad has gone from Standard Chartered Bank to PSO, Saquib Abbas has left Geo Logistics to join Citibank, and Fahad Baig and Waqar Usman have joined Citibank. Besides learning computers and information technology applications being used every where in the real world, the mission of compute labs in any university is to assist students interested in career fields of computing, telecommunications, media, networking, or other broadly related fields to enhance learning and make informed choices. Lahore School of Economics Computer Labs makes a special effort to highlight the exciting learning options for every one. Today, accessibility of computing facilities is critical for any student. Everyone who needs to use labs (who doesn’t) should be able to do so comfortably -- equal access. Computer labs are an academic boost in this Digital Age. The labs work is really making a difference toward improving students’ skills. To make our labs accessible, the Lahore School has deployed stat of the art machines powered by microwave connectivity and 128 k bandwidth at the Main Campus (and HDSL link and another 128 k at the City Campus). We have principle of universal design at our labs. Universal design means facility for the average users, design for students with a broad range of abilities and skills. In our labs, any student can get to the facility and maneuver within it, access materials and electronic resources including free access to a prestigious journal like JSTOR, and making use of other resources across World Wide Web. The staff is trained to support students with their problems – fatal errors, illegal operations, freezes -- and also help shooting troubles they face at their home work stations. Students and teachers say the secret to the success of the labs is the atmosphere that is very conducive for learning. Even peers are forthcoming with help. The point is education can't occur in any other environment. We sincerely think that this blog will become a truly useful 'portal' for students of the Lahore School because they will participate in shaping it into what they want it to be. To get off the ground, we've focused on your activities and other useful information that are readily available for you. Please give us feed back on this newsletter, and offer suggestions for what other kinds of information you'd like to see here [Ed: S A J Shirazi]. No call bells here, please! There are no call bells in the administrative block or any where else at the Lahore School. Why? Because we do not need that! Every office suit is self sufficient and fully equipped with every thing one needs to perform his or her duties. Moreover, over a period a culture has developed here that whenever any one needs to do any thing outside own office, get up and move. There must be a point at which the sky meets the earth - horizon. Though it is not possible to tell where that point is. Traveling through an expanse of Punjab bordering Azad Kashmir, one can see ahead up to horizon through a blanket of dull light covering the green fields and occasional villages that are spread along the Dina-Mangla-Mirpur Road. Under the sun's watchful gaze, the Mangla Valley is normally quilted in a hundred different hues of green. Short ride through the valley is wonderful and revealing. But a ride with forty five students of the Lahore School is much more than a simple exploration and excursion trip in the field. It was fun, it was company of friends, it was loud music, it was flute by Ali Khwaja, and much more. Meticulous arrangements had been made by Ali Hussain, Mohsin Khalid and Raza Ali Qazi (big thanks to Usman and Mahboob for arranging sumptuous food at the army mess). It is difficult to express the joy in words and one can only describe physical things. The construction of the Mangla Dam reservoir, one of the baggiest earth filled reservoir in the world, which has a perimeter of 400 Kilometers, has turned Mangla into a place of interest and recreation, very restful and clean. A building situated on the lakeside serves as a historical backdrop. At Water Sports Club the speedboat ferry sight seers across the blue sheet of the artificial lake to its northern extremity. I remembered, here somewhere, before the construction of the Dam, the Poonch River coming down from the northeast met with the bigger Jhelum River coming straight down from the north. That is the place where the students came after seeing the waterfall enjoyed and spent maximum time. Earlier, on the road to Mangla we saw the local buses plying to and from Mirpur in Azad Kashmir. With limbs protruding from windows and an eclectic assortment of possessions and sacks of commodities strapped loosely to the roof, these old vintage monsters take on a manic life of their own. Entering Azad Kashmir, one can not only see but also feel and smell Kashmir everywhere. The locals are amazing people. Resilient! Many have faced adversities and oppressions in the past for being Muslims and Kashmiris. There are many secrets hidden behind those silent smiles --secrets and strengths. There are picturesque village -- carefully constructed modest and some modern abodes with various kaleidoscopic colors of rustic life – along the Road. We also passed the occasional isolated house and makeshift tea stalls but other than that, all were green fields. The low mountains that run some time parallel to the road and some time seem straight ahead. Mangla Valley is the countryside one would like to get lost in. I, along with some others, explored, hiked some ridges and went around a few of the natural bowls in the pollution free environments of the valley while more adventurous type were busy boating. Away from humdrum of the city life. No hurrying up. We did not realize and the evening was upon us, earlier than usual and we headed back. No one in the group wanted the joyful trip to end but it did. Journey back home is conventionally faster. But in our case it was not. We were back at the City Campus, thinking where the Excursion Society will take us again [Sabrina Afzal, MBA].